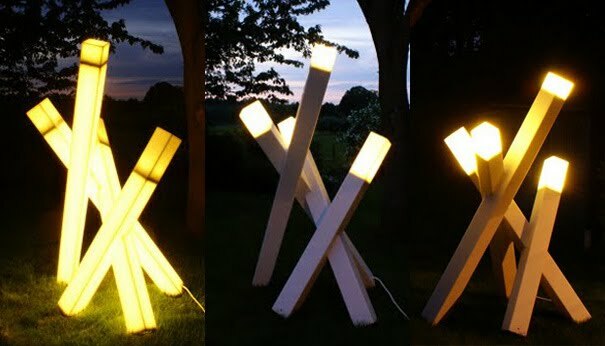 De Ceulaer’s Nomad Light Fire is a form of modular lighting that’s constituted of any number of portable “lighting sticks.” As with Twist Together, the individual elements can be conjoined to a central (plugged-in) element that—very like the luminescent crystals of Superman’s hidden icy enclave—transfers energy from one stick to the next. 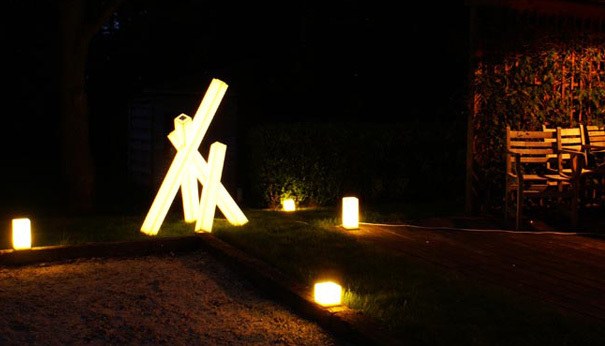 The result of this infectious electricity is that several lights seem to draw power from one. 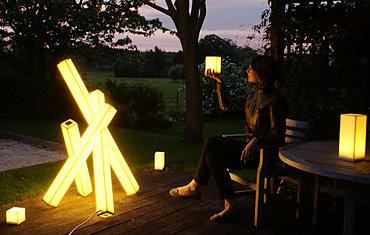 Just as with fire, one spark from Nomad Light Fire easily morphs into a veritable conflagration of illumination. But the comparison with fire ends there since Nomad Light Fire obviates the danger element. Ultimately, De Ceulaer’s inventive glow sticks make for a humorous substitution for the elemental camp fire. And through some magic or sleight of hand unspecified by De Ceulaer, Nomad’s individual elements can “borrow” power from a central source, then be moved elsewhere yet still retain the appealing glow. This nifty trick renders Nomad akin to so many branches become light-shedding torches, but the designer provides no behind-the-scenes information vis a vis the particular mechanics that make this possible.